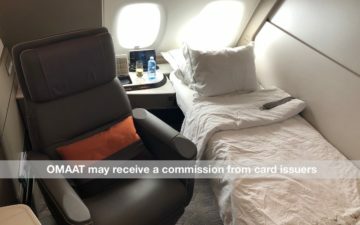 Admittedly, I generally use miles and points to travel internationally but there are a number of circumstances when it can make sense to use them for domestic travel. If you’re flying to Hawaii and have seen some of the cash fares floating around, it can really make sense! With Chase Ultimate Rewards points, you’ll have several options across all three major airline alliances — oneworld, SkyTeam and Star Alliance — and region-based and distance-based award charts. You might even find that booking with Southwest’s revenue-based pricing could make sense. Now, let’s get into the good stuff! With Flying Blue’s shift to a more Delta-like approach to award bookings, it’s not always clear how many miles you will need to book domestic awards or award flights to Hawaii. While you can use Flying Blue’s Miles Price Estimator to see saver level award rates, it does not include rates for flights within the U.S. and it has recently removed Hawaii flights. While this is still the go-to program for one-way awards on Delta within the continental U.S. and to Hawaii if you have a connection, it’s not because it’s a great program. It’s mostly because it’s the only Ultimate Rewards partner that allows one-way SkyTeam awards with connections. While the Miles Prices Estimator does not currently show saver rates for awards to Hawaii, I was able to confirm that the saver rate has not changed since Flying Blue removed the route from the Estimator. Honestly, though, good luck finding business class award to Hawaii on Delta. Both Air France and KLM’s sites allow you to search and book online. You can transfer Ultimate Rewards (1:1) to Flying Blue and points transfer almost instantly. I’ve been able to put awards on hold for 48 hours but you’ll need to find a friendly phone agent. You can reach Flying Blue at (1-800-375-8723). At times, people have had issues with the U.S. call center and have found one of the European centers — open 24/7 for English speakers — have been more helpful. In the past, Flying Blue has had plenty of issues with “fraud prevention.” As a result, we’d recommend calling to put your award on hold and then transferring points. Once you’ve done that, you can pay over the phone with a credit card in the account holder’s name. With British Airways, we dive into a distance-based award chart that can provide some solid value on short-haul flights and from the west coast to Hawaii. It also has the added benefit of partnering with both Alaska Airlines and American Airlines which means you’ll have access to even more flight options. Unlike many awards booked with British Airways Avios, these domestic awards won’t hit you with massive surcharges. Unfortunately, British Airways treats flights of fewer than 651 miles differently in the U.S. than in other parts of the world. While you can book these short flights for 4,500 Avios in places like Australia or throughout Asia, you will need 7,500 Avios to fly Alaska Airlines or American Airlines. Fortunately, if your flight is no more than 1,150 flight miles, you can book at this 7,500 Avios rate which gives you a number of options. Just keep in mind that British Airways prices each segment individually so connections will add to the number of Avios required. Using British Airways Avios to book awards from the west coast — and Phoenix (PHX) — to Hawaii has long been a favorite in the miles and points world thanks to a competitive rate of 12,500 Avios. Business class awards on American will be double the economy rate at 25,000 Avios one-way. Unfortunately, sitting up front on Alaska Airlines will cost 37,500 Avios as it codes as a first class redemption. If you’re booking from other parts of the U.S., you’ll want to be careful as awards get pricier. For example, booking from Dallas (DFW) will require 20,000 Avios for a non-stop — more with a connection — and 22,500 Avios from Chicago (ORD) for one-way awards. Booking awards on American with British Airways is pretty simple — if its website is working properly — thanks to the ability to search and book online. If you’re booking a flight on Alaska Airlines, you’ll need to search on American’s site and call British Airways (1-800-452-1201). If the site isn’t working, you might have to call to book American. You can transfer Ultimate Rewards at a 1:1 ratio and expect these transfers to process almost instantly. Singapore KrisFlyer will often provide the best way to book awards on both Alaska Airlines (non-stop) and United Airlines. This makes it one of the more versatile programs for domestic awards and award flights to Hawaii. Flights to Hawaii on Alaska Airlines start at just 12,000 KrisFlyer miles depending on the zone from which you depart. 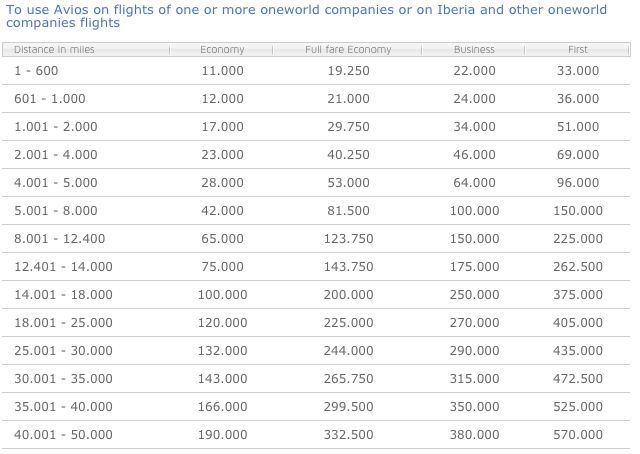 Additionally, you can find domestic awards for as low as 7,500 KrisFlyer miles. The toughest part about Singapore’s award chart for Alaska Airlines is that it doesn’t allow connections which means you’ll have to use more miles to connect. This means flying to Hawaii with a connection will cost at least 19,500 miles. Using KrisFlyer miles on United flights isn’t quite as complicated. 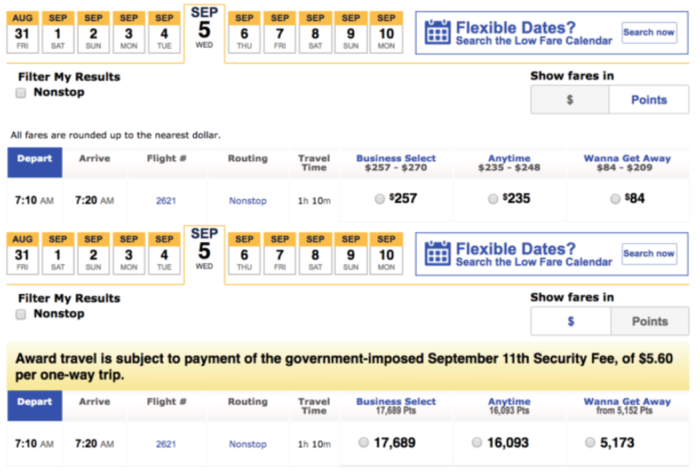 Other than economy awards within the continental U.S. KrisFlyer provides better redemption rates than United MileagePlus. Even then, MileagePlus and KrisFlyer both require 12,500 miles for domestic awards. While you can book United flights with its own MileagePlus program, I’d much rather save the Ultimate Rewards points for later. While you can find and book United award space on Singapore’s site, you’ll need to search for Alaska space on American’s site or ExpertFlyer. Once you’ve found space on Alaska, you can call Singapore Airlines (1-800-742-3333) to complete the booking. Transfers from Ultimate Rewards (1:1) can take 12 to 24 hours. Unlike our other options, Southwest uses a revenue-based award program and only provides an economy class. Additionally, it doesn’t have any partner airlines so if you want to book an award flight on Southwest, you need Rapid Rewards points. Southwest is expected to launch flights to Hawaii within the next year which could open up some interesting possibilities depending on how the flights are priced. If you have the Southwest Companion Pass, you’ll be able to bring a designated companion for no extra points. Booking with Southwest is quite simple. Transfers from Ultimate Rewards (1:1) process almost instantly and you can book online. The one tough part of about searching with Southwest is that you are limited to searching for flights to/from a single airport. So, if you live somewhere like the DC area with multiple airports — Baltimore (BWI), Washington Dulles (IAD) and Washington Reagan National (DCA), you’ll have to search each separately. The Ultimate Rewards program offers a couple other options that might come in handy for some specific redemption situations. Iberia Plus, like British Airways, is part of the Avios program and thus uses a distance-based chart. However, it has its own award chart and redemption rules. Where this can really help you save some Ultimate Rewards points is with awards on American Airlines that require connections. While British Airways will require you to pay for each segment, Iberia Plus will calculate the number of Avios for a booking based on the total flight miles. Depending on your route, this could help you save a nice chunk of points. You can search and book on Iberia’s site but I find it to be very slow and clunky. I prefer to start my search on American Airlines’ site as it allows me to see multiple dates that have saver space. With those dates in hand, I can narrow my search on Iberia. Keep in mind that round-trip bookings are required when using Iberia Avios to book partner awards so you’ll need to search round-trip on Iberia’s site. You can transfer Ultimate Rewards points at a 1:1 ratio and expect the transfer to process almost instantly. Air France-KLM Flying Blue will still be a better option for non-stop economy awards to Hawaii and shorter domestic awards, but Virgin Atlantic Flying Club will get you better rates on non-stop transcontinental awards and business class awards to Hawaii. To take advantage of Flying Club’s award rates, you’ll need to book non-stop awards as Virgin Atlantic requires more miles for connections. To search for award space, you can use Virgin’s site but you will probably have to click the teardrop pin in the destination field to get a drop-down menu so you can select a U.S. airport. Transfers from Ultimate Rewards (1:1) are often instant but, if you prefer to lock in space before transferring, you can call Virgin Atlantic (1-800-365-9500) to hold an award for 48 hours. Virgin’s phone agents are some of the best so the process should be pretty painless. 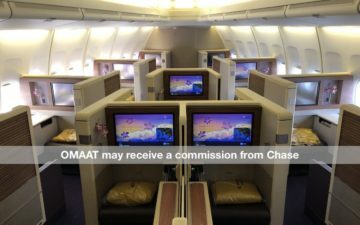 Clearly, you have a lot of award booking options with Chase Ultimate Rewards points and once Southwest starts flying to Hawaii, you’ll have even more. Before you book your next award, make sure you’re using the program that allows you to use the fewest number of Ultimate Rewards points. With different award program rules, the program you should use might not be the most obvious but you’ll be glad you did a little work upfront to save your hard-earned points. The points you save just might help you get an award flight for your next adventure or even a night (or more) at Hyatt. Keep in mind as well that the best values domestically can be found through booking economy fares through the Ultimate Rewards portal, so be sure to check those prices as well. How have you used Ultimate Rewards points domestically? It appears that the state of Alaska was missed in your analysis, unless all of these domestic lower 48 rates apply there as well. Do you anticipate Chase UR points ever being devalued from 1.5 cents (assuming you have the Sapphire Reserve) for redemptions via their portal? I don’t see any point in using them at this rate if they’re never going to be devalued. I might as well let them sit in my account and hold out hopes of finding a better redemption value (i.e. transfering to airline/hotel partners). What about transferring to united? I dont understand why you don’t even mention united transfers. That’s the one I use most. Really ridiculous to leave that out, when this is supposed to be a comprehensive guide to all the uses of CSR points. @ Jason — It’s a guide to the *best* ways to use Ultimate Rewards points in each region. United will be mentioned later on, when they provide a superior redemption rate, which they don’t domestically. Why do bloggers keep using the term “hard earned points”? I think for most people reading these blogs these are far from accurately descriptive words. I may have missed this but I’m wondering about award availability. When you try to book first class award travel for a given airline (say United) through a partner program ( such as KrisFlyer), is this award availability generally the same. Is the VS one way delta domestic economy at 20,000 miles correct? It’s cheaper than the 17,500 required for delta Hawaii? Also business class is only 2,500 miles more? Doesn’t seem to make sense. In my experience, that’s not correct. I just checked a simple flight to SNA from SJC, and the points awarded were: on Wanna Get Away, around 5 points per dollar, Anytime = 8 points, Business Select = 10 points approx per dollar. Is there something I’m missing? I just used the Air France-KLM Flying Blue’s Miles Price Estimator and it looks like they re-added the US and Hawaii flights. Here’s the link. Also thanks for this post. Very helpful.